It’s funny how my recipe hunting habits have changed since we started Acorns On Glen. I used to spend hours reading cookbooks to find that one recipe that was perfect for that night’s dinner or just the right dessert to end a certain meal on a high note. I love to cook, but have always cooked using recipes from cookbooks. I envy people like the Notorious B.I.G. (Brooklyn Italian Grandmother) that can cook a variety of dishes from memory, using just the right amount of this or that by feel versus measuring cups and spoons to get exactly the amount the recipe states. I think it is the accountant in me that is the reason why I always cook from cookbook recipes. I like to be able to read the step-by-step narrative and picture in my head what each step will look like and exactly when I will need to chop something or measure something out. Cookbook reading can also turn into an expensive habit. I have at least two bookcases full of them ranging from the newest selection from one of the chef’s on the Food Network to cookbooks from chefs that cook at one of the many restaurants we go to when staying in New York City or when we go on vacation. So while I still spend a lot of time reading and looking for a recipe that will make that night’s perfect dish, I now do it through all the great cooks that blog here on WordPress. Almost every day, I go into the list of WordPress topics and click on “Recipes” or “Food”. That takes me into the best cookbook I have read in years. I’ve been calling it “The WordPress Cookbook”. There are so many cooks posting recipes for great dishes from all around the world and honestly, I’ve cooked a lot of them. 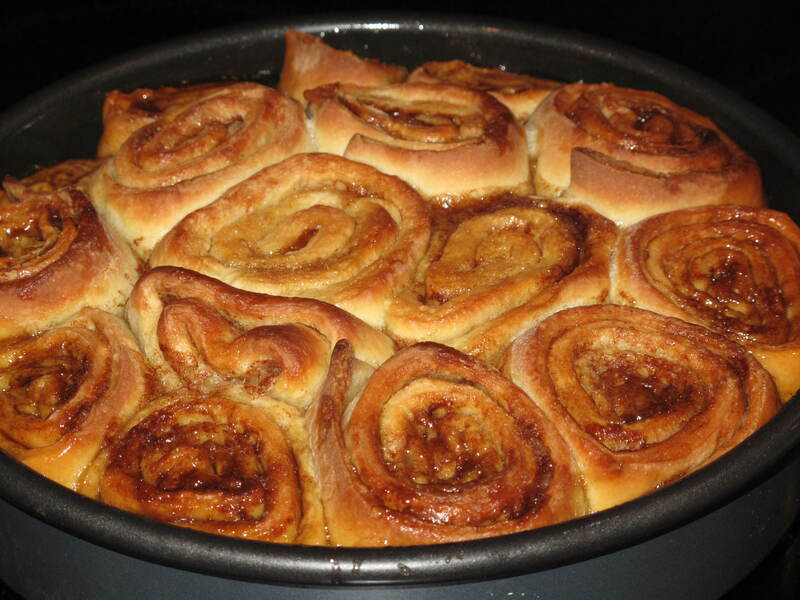 Which brings me to the sticky buns I made over the weekend from joshuafagans. His writing about how they are his family’s Christmas tradition was great, but it was the picture of the buns themselves that made my mouth water. I have to say that I don’t have great luck in making dough. For whatever reason, my dough never seems to rise very high or seems like a big strip of rubber. However, after seeing the picture from joshuafagans, I was ready for a little dough adventure. Please read the original post over at joshuafagans and see how to make it the sane way as well as the quick way, which is pretty funny. My version is below. I followed the recipe exactly as written using the “sane” way….read his post and you’ll understand. Thanks joshuafagans for such a great post and a delicious recipe! Melt the butter in the scalded milk and allow to cool. Soften the yeast in the water. Mix milk mixture with the yeast, eggs, sugar, salt and flour. I did this in a standing mixer until a ball formed and then took the dough out and kneaded it until smooth and elastic. I let the dough rise for 3 hours inside of my oven with the “Proof” setting turned on. 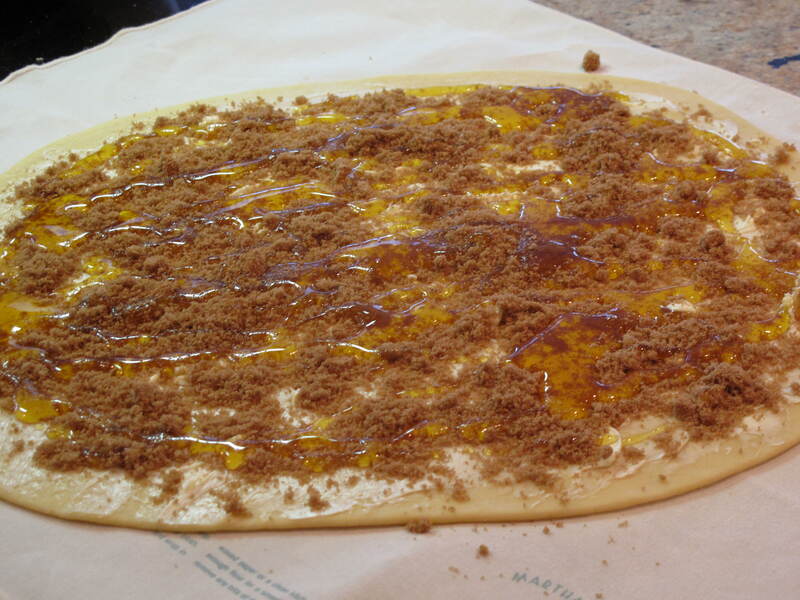 Divide the dough in half and roll each half into a 10″ x 18″ rectangle. Spread the butter onto each half. Combine the sugar and cinnamon and sprinkle over each rectangle. Drizzle the syrup over both as well. 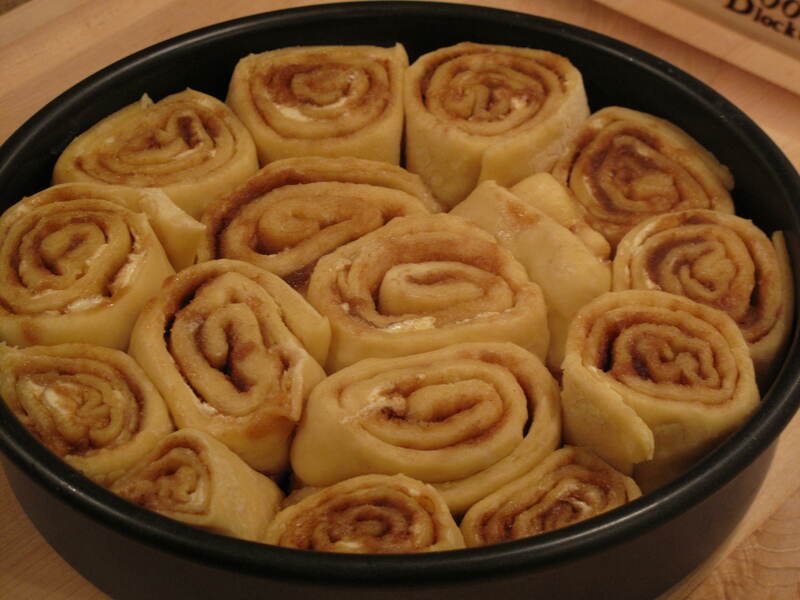 Roll the rectangles up in a jelly roll fashion and then slice each roll into 12 slices. Place into two 9 inch cake pans and let rise for another hour. Preheat the oven to 350 and bake until nice and brown, at least 30 minutes. Allow to cool for a few minutes before taking out of the pan. So give “The WordPress Cookbook” a try if you haven’t already. 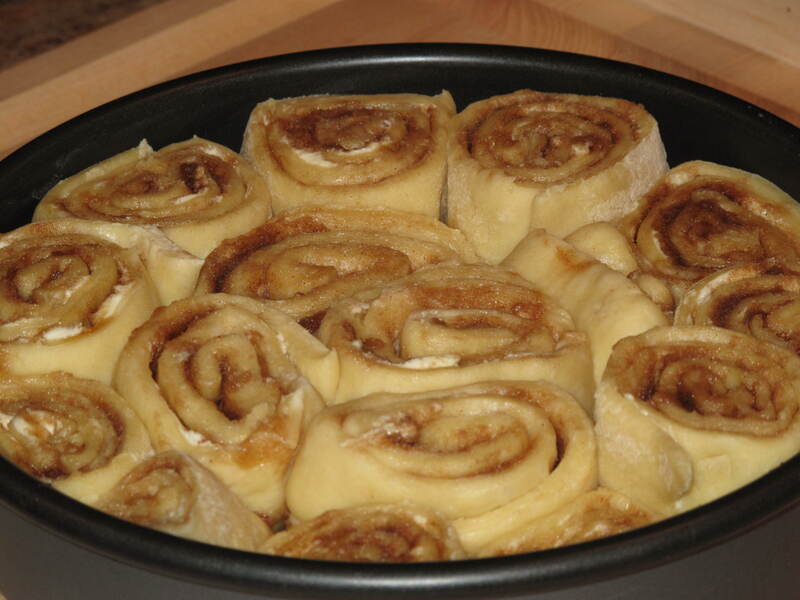 If you make these sticky buns, be sure to stop by joshuafagans and thank him. Enjoy! This entry was posted in Food and tagged Acorns, Baking, Blog, Cooking, Dessert, Entertainment, Family, Food, Fun, My Life, Photos, Recipes, Winter. Bookmark the permalink. Wow those look deliciously addictive! Hi mikstidbits. Welcome to Acorns On Glen. I will tell you that after eating two of them, I can vouch for how good they taste. Delicious!! Hope you come back and visit soon. Thanks for the comment. Sticky buns are one of my favorite things. It looks like yours turned out great. Hi Carolkin. They are really great. Wish you were here to have one. Wow, I am so tickled that you tried the recipe :)! Thanks so much for the shout out and so glad it worked for you! Hi there. The recipe was delicious, but more than that…the dough turned out GREAT! Has to be my first time making successful dough. Keep your great recipes coming. Come back and visit soon. Joshua rules. I want to hire him to make my birthday meal. Maybe he can bring the Notorious BIG. I think Katherine would be thrilled! Hi Greg. Sounds good to me. When he’s done at your party, he can keep driving over to CT and make my birthday meal as well. Good plan. Come back and visit soon.